Interesting. My visionary sister recorded an interview with our mother ostensibly to record for posterity our family history. 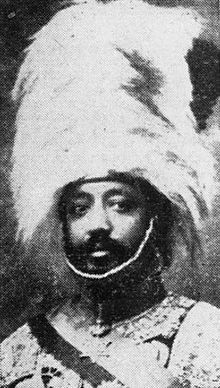 During that recording my mother revealed that she had wanted to name me Ras Desta Damtew after Haile Selassie’s son-in-law, a nobleman and military commander who was executed by the Italians during their invasion of Ethiopia. Through a compromise, here withheld, I became a junior. Thus, my father become a senior, a name that he wore with pride though the rest of his life.